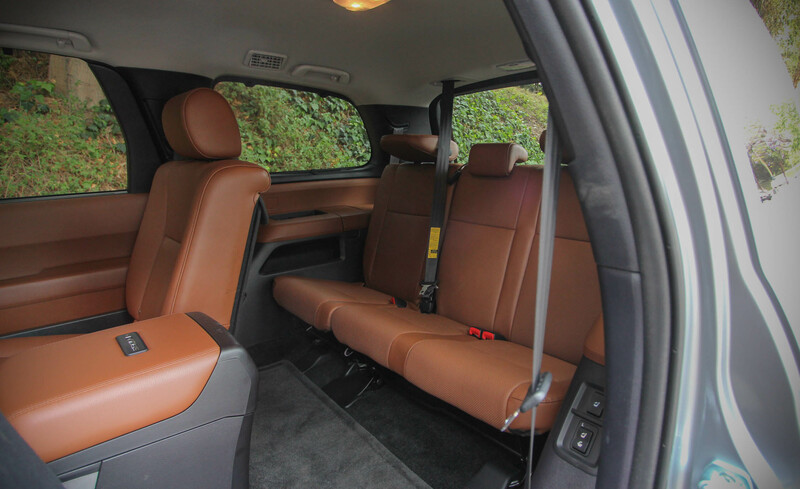 The SUV that time forgot—Toyota’s Sequoia—offers a cavernous interior and flexible cargo space, but not much else. A 5.7-liter V-8 drives the rear wheels through a six-speed automatic transmission; four-wheel drive is optional. Standard infotainment with navigation provides adequate connectivity, and the top Platinum trim gets adaptive cruise control and blind-spot monitoring. The Sequoia is simply outclassed by its competition, though, and is in need of an overhaul to remain relevant.